It’s easier than ever to get the holiday lighting you’ve been dreaming about. Give us a call at 918-640-6405 for more information on our company and visit with us online where you can meet Jamie Nix and Josh Mathias, the founders of Green Leaf Lawn at www.greenleafweedcontrol.com This year, let Green Leaf Lawn Service help you with decorating. We are proud to announce our new, professional holiday decorating services! Why tie up your busy schedule with purchasing lights, connecting extension cords and hanging decorations? Allow us to create a spectacular outdoor display to exceed your dreams of a perfect winter wonderland. Green Leaf Lawn Service offers lawn care packages to fit your needs. Whether you are looking for a green, thick & weed free turf all season or just want a one-time visit for some assistance. 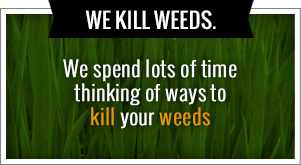 In addition to synthetic fertilizers & herbicides we are proud to offer a complete complete programs and take care of all of your weed needs. We want your lawn to look more beautiful than ever and see your turf be some of the best in the neighborhood and around the city of Tulsa, Oklahoma. We are striving to educate people on the benefits of organic care & hope it will become our most widely used program in years to come. The goal for the design team at Green Leaf Lawn is to create an innovative design that will fit each site’s architecture and natural environment; that satisfy clients needs for beautiful and functional outdoor spaces; and that exceed the clients dreams for their landscape project. Green Leaf Lawn has the capabilities to complete landscape plans for a vast range of projects. We use a team approach to evaluate, plan and design all projects to the customer’s specifications. To view some of the amazing jobs we’ve done in the Tulsa, Oklahoma area, head on over to our website at www.greenleafweedcontrol.com for more information on how we can do your Tulsa Holiday Lights the season. You can also give us a call and speak with one of our professionals or even the owners of the company Jamie Nix and Josh Mathias. 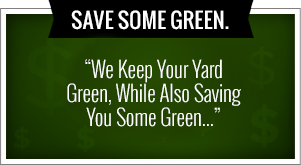 They would love to help you and give you more information about choosing Green Leaf Lawn as your service provider of choice know matter what time of year it is. Let Green Leaf landscaping professionals install your Christmas lights and Tulsa Holiday Lights. We promise to take the worry out of your holiday lighting projects. Our staff is knowledgeable in proper lighting techniques as well as safety procedures for working on your roof and in your yard.